UNBEATABLE VALUE!!! Two Bedroom Pool Villa in Gated Beachfront Estate. Beautifully designed modern two bedroom, two bathroom Luxury Pool Villa Pool Villa for sale now in Lipa Noi, in a gated absolute Beachfront Estate, 50 meters walk to one of the best beaches on Koh Samui with truly mind blowing views to the Five Islands and magnificent sunsets.Two bedrooms, two bathrooms, open plan living, dining and outdoor entertaining areas, private swimming pool and Sala. Chariya Residence is located in the foothills of Bang Por on the North Coast of Koh Samui, Thailand, and enjoys one of the most breathtaking Sea Views available on the island.With captivating uninterrupted views to the Islands of Koh Phangan, Koh Tao and the famous Angthong National Marine Park. A well presented 2 bedrooms modern style home design falls into natural and sensible range. The elements enhance the natural harmony. Inspired by our well-planned space encourages mixing influences and function of work and rest. Usable Area: ~50 sqw. (~200 sqm)The Property is great location in Mae Nam ,set 4 km from Mae Nam Pier. Incredible value, a 3 bedroom 3 bathroom townhouse situated within a popular resort complex, brand new and just listed on the market. This townhome features all the resort facilities, including access to gym, massive swimming pool, convenience store, restaurant and more. Only two years old this three bedroom Koh Samui Villa is in as new condition and offers very open plan living, dining and outdoor entertaining areas, very large garden with plenty of room for a swimming pool, great kitchen with plenty of storage.Car accommodation for two cars plus bikes etc, electric gate and much more. 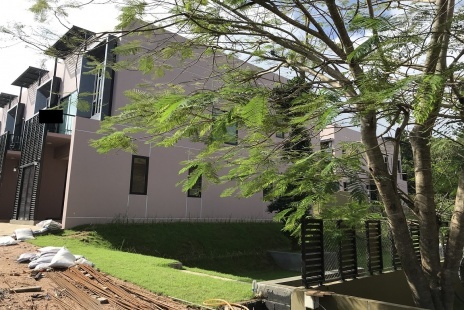 Great location and very close to the Santiburi Golf Course. We have just added this stunning mix of Two Bedroom, three Bathroom very hip and modern Pool Villas to our Koh Samui Property portfolio.Comprising Open-Plan Living areas, Infinity Pools, Roof Top Terraces with Spiral Staircases and spacious indoor and outdoor gardens, terraces and outdoor entertaining areas. Private Villa for sale in Maenam, Koh Samui, quality construction. The villa is approximately 145 sqm and comprises open plan living dining and outdoor terrace/entertaining area. Perfect for a first investment in Thailand or for a family. The Villa has a very wide spacious terrace, great view of the mountains and coconut trees and is fully fenced with a private garden – Sold fully Furnished. This great range of one and two bedroom apartments are for sale now in this Ideal location on Koh Samui and are within walking distance to the stunning Cheong Mon beach and all the restaurants and bars.These apartments are completed now and ready to occupy or rent out now.We are achieving very high demand and rental occupancy in this complex. ABSOLUTE BARGAIN!!! Three Bedroom Pool Villa Laem Sor. Three bedroom, two bathroom, two story big 180sqm fully renovated and fully furnished Pool Villa.Large open plan living, dining and indoor and outdoor entertaining areas. Tastefully decorated and ready to move in today!400sqm Chanote Land Title, landscaped Tropical Gardens, huge 15 meter pool and much more. This very small Residential Development is in a fantastic location in Soi 2 in Maenam, Koh Samui and only a few minutes drive to Maenam Beach, Night Market, shopping, bars and restaurants.Very modern open plan design with car accommodation and your own private plunge pool. Stunning two bedroom duplex apartment for sale in the heart of Chaweng Koh Samui with fantastic sea views in a fully managed gated estate in Chaweng. Great Investment opportunity, brand new and ready to occupy ready to rent out. Very exciting mix of one, two and three bedroom Luxury apartments in Koh Samui and in the heart of Lamai only a few minutes walk to Lamai beach, restaurants, bars and nightlife.This fantastic development can be owned FREEHOLD and the development group is one of the largest and most reputable in Asia. 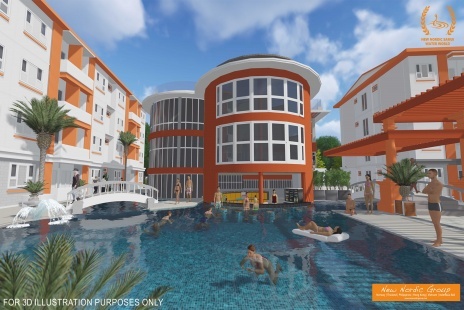 Very exciting mix of one, two and three bedroom Luxury apartments in Koh Samui, in the heart of Lamai and only a few minutes walk to Lamai beach, restaurants, bars and nightlife.This fantastic development can be owned FREEHOLD and the development group is one of the largest and most reputable in Asia. Nice, comfortable 2 bedroom villa in Koh Samui. Perfect for living or rental investment. Just 7 minutes walk to the beach. Villa located in a small community of 5 villas around communal pool. 2 Bedrooms, 2 bathrooms, Fully equipped European kitchen,Land size 240 sq.m. Chanote Land Title.Living area 100 sq.m.Electricity from government.Maintenance fees for common areas 3 000 THB per month. Fantastic value! 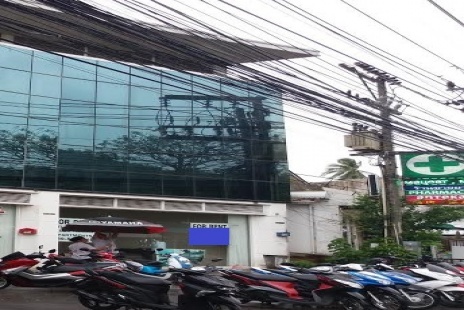 210sqm 3 floor end unit office/shophouse in Lamai city center, Koh Samui. Ready for your business or living space, or both! You will also have access to the swimming pool behind the offices as the apartment complex behind has the same management as the offices. Huge open plan on 3 floors, the space is ready to configure for your business or home.